Elegantly interweaving her characters' complex inner lives in an unbroken stream of consciousness, Virginia Woolf's Mrs Dalloway continues to enthral readers with its exploration of the human experience; of time, space, madness and regret. This Penguin Classics edition is edited by Stella McNichol with an introduction and notes by Elaine Showalter. Past, present and future are brought together one momentous June day in 1923. Clarissa Dalloway, elegant and vivacious, is preparing for a party while reminiscing about her childhood romance with Peter Walsh, and dwelling on her daughter Elizabeth's rapidly-approaching adulthood. In another part of London, war veteran Septimus Smith is shell-shocked and on the brink of madness, slowly spiralling towards self-annihilation. Their experiences mingling, yet never quite meeting, Virginia Woolf masterfully portrays a serendipitous unity of inner lives, converging as the party reaches its glittering climax. Virginia Woolf (1882-1941) is regarded as a major 20th century author and essayist, a key figure in literary history as a feminist and modernist, and the centre of 'The Bloomsbury Group'. This informal collective of artists and writers which included Lytton Strachey and Roger Fry, exerted a powerful influence over early twentieth-century British culture. 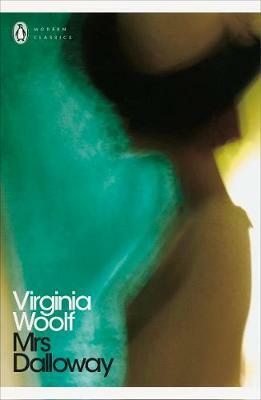 Between 1925 and 1931 Virginia Woolf produced what are now regarded as her finest masterpieces, from Mrs Dalloway (1925) to the poetic and highly experimental novel The Waves (1931). She also maintained an astonishing output of literary criticism, short fiction, journalism and biography, including the playfully subversive Orlando (1928) and A Room of One's Own (1929) a passionate feminist essay. If you enjoyed Mrs Dalloway, you might like James Joyce's Ulysses, also available in Penguin Classics.